A modern state without a Constitution is really an unthinkable affair. The Constitution is a vital necessity because it determines the way of life of people, the system of governance of the country and the relationship between the rulers and the ruled. It also settles relations among the various organs of the Government. In short, it is the pivot of the entire political system of the country. But a Constitution does not come out of the sky – it has to be created by human beings. 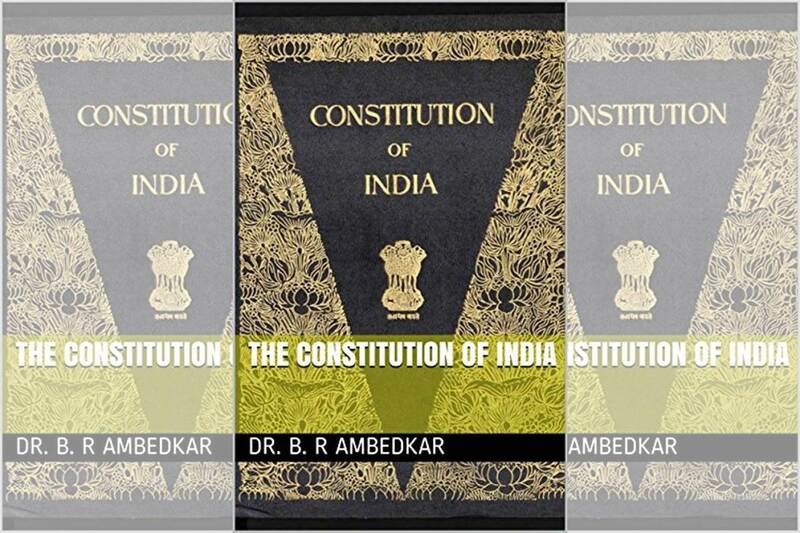 Our Constitution begins with the words – ‘We, the people of India, … hereby enact, adopt and give to ourselves this Constitution.’ But the people of a country cannot sit together in order to enact the Constitution. So, a representative body, namely the Constituent Assembly, enacts it on behalf of the people. In this sense, it is the creation of the people of the country. The idea of the Constituent Assembly has a unique origin. After the war of Independence, the Americans were the first people to have a Federal Convention in 1787 in order to frame their Constitution. It was followed by France during 1789-91. Subsequently, all other democratic states followed the practice of constituting such a body with a view to enact their Constitutions. Thus, it means an elected Convention of the people for framing their Constitution. However, the idea of the Indian Constituent Assembly was, for the first time, put forward by MN Roy in 1937. Of course, in 1923, the Liberal members of the Central Legislative Assembly had initiated the idea under the inspiration of Mrs Annie Besant, but it ultimately ended up in smoke. The Congress raised it in 1934, but the demand was more emphatic in 1936 at its Faizpur session and the Working Committee took such a resolution in 1939. However, in the ‘August Offer’ of 1940, the demand was granted in principle by the Government and, in 1942, the Cripps Mission assured that such a body would be set up after the end of the war. Then, finally the Cabinet Mission of 1946 granted the demand and, by an indirect election, it was actually formed in January of that year in order to enact the Constitution for independent India. The election was a grand success of the Congress, because, out of 296 seats allotted to British India, it captured as many as 211 seats. The Muslim League secured 73, and the rest were occupied by others. Ninety-three seats were allotted for Princely States, but, for some time, they showed their reluctance in this matter. Some of them, however, joined it in April 1947, and by July 1947, most of them, excepting Jammu and Kashmir, had sent their representatives. Thus, it became an all-India Convention, though the election was an indirect one. Of course, some critics have opined that the Assembly was not a representative body in the true sense, because it was indirectly elected. But Dr MV Pylee has rightly observed that India was, at that time, passing through a harrowing crisis marked by war, riot, murder, bloodshed and communal frenzy, and, hence, a direct election with crores of people would have been a unimaginable matter. In his view, the effect of such of election was soon provided by the first general election of 1952 on the basis of adult suffrage in which the people very eagerly took part under the new Constitution. It is also alleged that the Constitution was not submitted to the people for a referendum. But, it needs to be noted that the opposition-leaders who had declared that if they were sent to power, they would scrap the Constitution and enact a new one, miserably lost the electoral battle. It means, beyond doubt, that people very happily accepted the work of the Constituent Assembly. It has also been alleged that it was not a sovereign body, because it was created under alien rulers. But the Indian Independence Act of 1947 truly made it a sovereign body, and, as GN Joshi observes, it was the ‘supreme authority’ to frame the Constitution. But, the most significant fact is that a lofty spirit of democratic tolerance and broadness prevailed at that time. As Grenville Austin puts it, ‘The Assembly was the Congress and the Congress was India’. As such, it could have occupied a larger number seats in it. But, the High Command directed the provincial committies to see that all able, wise and deserving persons of different shades of opinion could find their seats in the House. Thus when Dr Ambedkar, a staunch critic of the Congress, lost his membership due to partition of the Punjab, he regained it as a Congress member resigned his seat for his election. As Dr BC Rout observes, ‘Its membership included the most important personalities of India with the single exception of Gandhiji’. As such, it was really the epitome of India as a whole. It is also a stark reality that the same spirit of broadness prevailed in the House. It formed a Drafting Committee headed by Dr BR Ambedkar who vehemently disliked the Congress. Other members were N Gopalaswamy Ayengar, Alladi K Ayyar, KM Munshi, Md. Saadullah, B L Mitter and DP Khaitan. But most of them were non-Congressmen. The Assembly also functioned in a most democratic way. Of course, the Congress had a dominating majority in it, but it did not, by any means, impose its will upon others and not a single Article reflected its political ambition or electoral manifesto. In fact, every Article was meticulously discussed and debated and, after an amicable settlement and unity, it was inserted in the Constitution. Dr Ambedkar in particular was always ready to accept a point of view which was different from his. Others also were of the same mentality and, hence, numerous Articles were re-written to satisfy the dissidents. Significantly, the American Constitutional Convention took only four months to frame its Constitution and Canada needed 2 years and 5 months. But, in India, the time-span was 2 years, 11 months and 17 days. Dr HH Das has opined that we had taken a ‘long time’ to do the job. But, he, at the same time, mentioned the reason of this delay. In fact, everyone was given a fair chance to express his opinion on each Article and sufficient time was allowed for such agreement. In fact, 2,473 amendments were moved and discussed and after necessary changes, the Articles were accepted by the Assembly. Whenever there were dissensions, Dr Rajendra Prasad, its President, adjourned the meeting for some time so that the dissidents could go outside in order to patch up the differences by a heart-to-heart discussion. In short, it is not majority, but unanimity which was really emphasised. Thus, the Constitution is really a democratic creation in the broadest sense of the term.